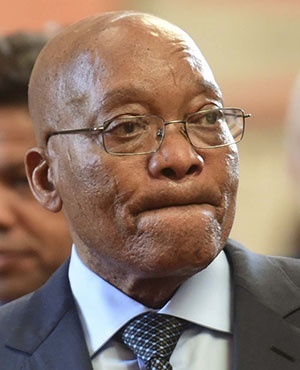 Former president Jacob Zuma has offered support to ANC secretary general Ace Magashule, advising him to "stay resolute during these times". "I'd like to wish President @PresJGZuma a happy birthday. Ukhule Nxamalala #ZumaDay," Magashule tweeted. Magashule was a hot topic this week following the release of the book Gangster State: Unravelling Ace Magashule's Web of Capture, by investigative journalist and author Pieter-Louis Myburgh. It contains allegations that Magashule led the Free State with an iron fist. Protesters, some clad in ANC T-shirts disrupted the book launch at Exclusive Books in Sandton on Tuesday. The protesters sang and danced across Sandton City's fourth floor where Exclusive Books store is situated, after ripping some books inside the store. Some chanted "Ace, Ace, Ace…". Magashule publicly denied any wrongdoing during his time as leader of the Free State.